Software helps negotiators optimize settlement. My favorite part of this app is the graphical display. Here you can see the progress of the negotiations tracked by date and time. As negotiations flow, so does the graph. At the end you can see where you settled. 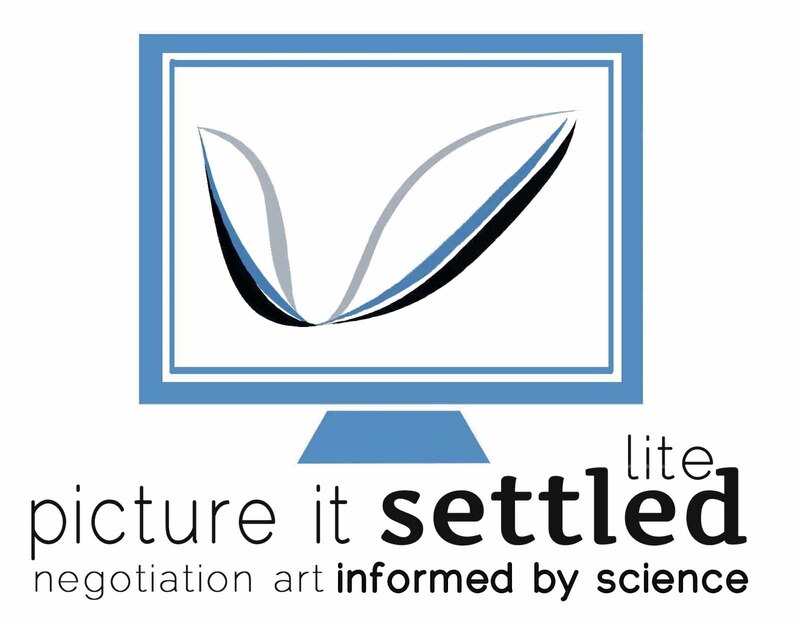 Picture It Settled™ develops software to help litigants analyze their positions and design successful negotiation strategies. The Lite version makes part of that functionality available on smartphones. Picture It Settled™ Lite became available in the Apple Store and Android Market in December. The BlackBerry version is now available for a variety of models in App World. Don Philbin developed Picture It Settled™ with expert assistance of software engineers at Southwest Research Institute®. The program uses patent-pending algorithms, neural networks, and data from thousands of cases to help negotiators map-out successful strategies and calculate strategic moves. The Lite version easily tracks dollar moves and the time intervals between them. It then projects the intersection point in both dimensions. With each move, the App also offers pre-calculations based on negotiation theory. For more information and a video about Picture It Settled, please visit the website at http://www.pictureitsettled.com. Founder Don Philbin, J.D., M.B.A., LL.M., is an AV-rated attorney-mediator and adjunct professor of law with extensive business, legal, and negotiation experience and education. Don is an elected Fellow of the International Academy of Mediators, the American Academy of Civil Trial Mediators, and the American College of e-Neutrals, and was one of the first U.S. mediators certified under the international standards established by the International Mediation Institute. He is listed in Who’s Who of Commercial Mediation, Best Lawyers in America, and Texas Super Lawyers. Mr. Philbin’s firm has earned a Tier 1 ranking in the U.S. News and Best Lawyers “Best Law Firm” survey.